A better book than Code Name Verity? Never. Another tale of two brave women, aeroplanes, unbreakable friendship, love, loss and daring acts of loyalty? All with an African twist? Now you’re talking… Rhoda and Delia are daring stunt pilots who amaze crowds across America. Well: most of America. 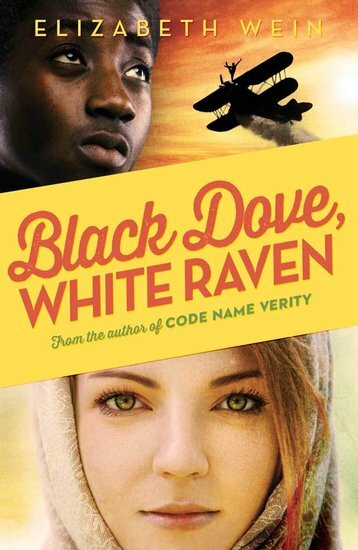 The sight of a two-girl flying team – one white, one black – isn’t welcome everywhere. So when Delia dies in a crash, Rhoda forges a new life where colour doesn’t count. She moves to Ethiopia with her own daughter, Emilia, and Delia’s son, Teo. The children grow up. They learn to fly (really well). They grab attention in elite circles. Then Italy attacks, and they are called to war… Still glueing your heart back together after Code Name Verity? Better not read this if you don’t want to break it again.